Ironically, it is not so far from Czech Paradise (Český Ráj). 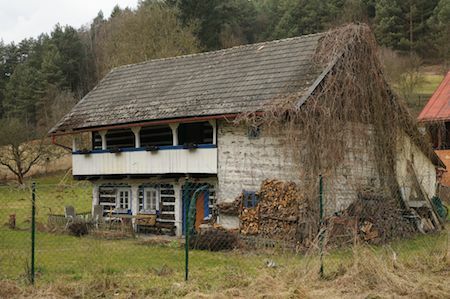 We set out on the same road from Prague, as we would take to Czech Paradise, but we then head East from Mladá Bolislav. 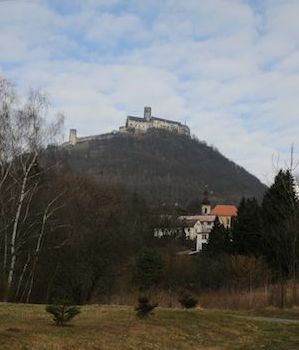 The first destination is the Castle Bezdec, the place where Vaclav II was held captive by his uncle in the 13th Century. This is an impressive hilltop ruin of a once formidable castle, with an extraordinary history. An easy hike for families with children, this is guaranteed to spark the imagination of even the most technology distracted teen. Continuing further East from Bezdec, we enter the Kokořínsko protected wilderness reserve. This is a landscape of remarkable sandstone formations, were the roads disappear into the thickly forested ravines. From the small village of Ráj (Paradise) it is possible to hike to another castle (Kokořín), or to one of several characteristic villages built into the sandstone walls. There are also ample opportunities here for swimming, cycling and riding. It is a natural playground that is popular among Czechs, but little known by foreign visitors. Be our guest as we show you some of the highlights we have discovered over the years. Especially noteworthy is a carpenter's workshop, where lunch may just be the highlight of the whole day. 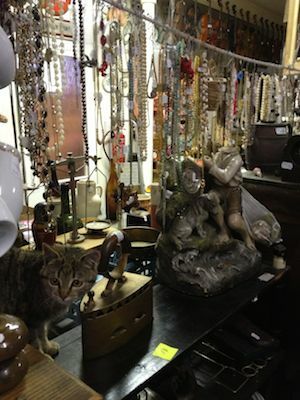 And to top it all off, a visit to one of the largest depositories of antiques and nick knacks to be found in the Czech lands. Altogether, this day will require about 8 hours, but it can be shortened or lengthened according to the wishes of the visitors. It is one of many "out of the way" places we want to share with our guests. It will certainly be a departure from the often-crowded touristic atmosphere of Prague and other more popular destinations. We especially suggest this for families with children from 6 to 60 years old.